The Louisiana State Inspector General is an independent office with a mission to investigate white collar criminal and public corruption cases, and to root out and prevent fraud and corruption in government. The office is a designated law enforcement agency by statute, with the associated investigative powers and privileges. 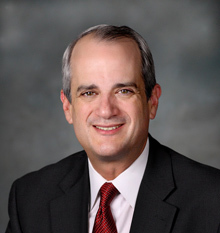 Stephen Street has served as Louisiana’s Inspector General since January of 2008, and was confirmed by the Louisiana Senate for a second six-year term that runs through January of 2020. For more information on Inspector General Street, please visit the “About the Inspector General” page. All public records requests should be directed to Joe Lotwick, Custodian of Records for the Office of State Inspector General. The Office of State Inspector General (OIG) is comprised of an Audit Division and an Investigation Division. The Inspector General initiates audits and investigations from complaints and referrals received in the office and from internal assessments of high-risk areas performed by OIG management. The flow chart below provides a detailed description of our audit and investigative processes. Screen complaint to determine if within OIG jurisdiction, if sufficient information provided to warrant an audit or investigation. Open case and assign to Audit or Investigation Division depending on nature of complaint. If potential criminal behavior is discovered, the Investigative Division may be utilized. If potential criminal behavior is discovered, a joint investigation with other authorities may ensue. Regardless, findings may not be released until all investigations are concluded. Subpoenas and Warrants can be used. State Police, District Attorneys and Attorney General may be involved with arrests and/or trials. If no deficiencies or non-serious deficiencies found, a letter to management will be written. If serious deficiencies but no criminal behavior is found, a public report is written and the auditee given the opportunity to provide written response to be included as appendix to report. Report sent to Governor. Report is considered public upon Inspector General’s signature. If serious deficiencies but no criminal activity is found, a public report is written and the investigated given the opportunity to provide written response to be included as appendix to report. Report sent to Governor. Report is considered public upon Inspector General’s signature.